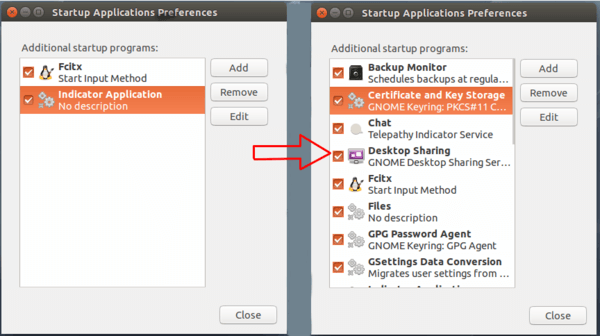 Ubuntu doesn’t show all the start-up applications by default in its ‘Startup Applications’ manager. But you can easily display them by running a single command in terminal. Enter your user password and press ‘enter’ again if asked (note: When entering your password, the terminal will not display characters on-screen, such as the asterisk ‘*’, for security reasons).